Bill is a Licensed Professional Counselor in West Virginia. Dr. Bauer is from Southeastern Ohio. He was born and raised in Marietta, Ohio. He has been a school teacher, principal and interim superintendent. He has an undergraduate degree from Ohio University in Special Education focusing on several cognate areas and certifications/licensures (emotional disturbance, intellectual disabilities (mild to severe), learning disabilities, autism and physical/orthopedic and other health impairments. He attended graduate school at Ohio University to earn a graduate degree in School Administration (focus on Supervision). Dr. Bauer, became interested in the psycho-social aspect of disability (mental health included) that he also earned another graduate degree in Counseling (Master’s) and a PhD. in Rehabilitation Services from The Ohio State University. His dissertation focused on high school transition aged youth and leadership. He is also a nationally certified Rehabilitation Counselor as well as a licensed counselor in West Virginia. 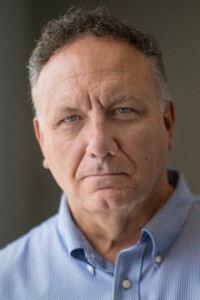 A long time advocate for disability rights, he has served on the Disability Rights of Ohio board (founding member), Chair of the Ohio Rehabilitation Services Commission (now Opportunities for Ohioans with Disabilities), and is currently chair of the Ohio State Advisory Panel for Exceptional Children and the State Council for Exceptional Children – Teacher Education Division. He is also an certified instructor in Mental Health First Aid for adults and higher education. When Dr. Bauer is not working, he enjoys traveling the globe and coaching swimming (he coached competitive swimming for 30+ years and is currently a volunteer assistant for The Ohio State University Buckeye Men’s team. He enjoys walking, reading, research, and hanging with friends and family. He has authored journal articles about Appalchian Culture and counselor competencies and has a book coming out this spring where he served as a Co-Author. The book focuses on Disability Pride and the cycle it takes for one to become more accepting of their own disability. He speaks around the world on disability and culture issues. She and his wife have a daughter and son who is deceased. I am a provisionally licensed counselor in West Virginia and a nationally Certified Rehabilitation Counselor (CRC). I have expertise in training in group therapy, psycho-social aspects of children adults with disabilities, transition issues regarding people with disabilities, disability onset coordination and therapy, disability culture issues as well as anxiety and mood disorders. I also have extensive training with children and adults in the autism spectrum. I am a reality-based therapist that utilizes principles of Cognitive Based Approaches and Behavioral Approaches. I have training in Functional Behavioral Assessment and Behavior Intervention planning. BS in Education of Children with Disabilities (Emotional Disturbance, intellectual Disabilities, Learning Disabilities, Orthopedic and Other Health Impairments. Over 25 years of experience working with individuals, couples and families.